National Association of Asian American Professionals, New York (NAAAP-NY) is pleased to bring to you our next Talk Thursday event. Talk Thursday is professional development series that connect industry experts in a fireside chat to share experiences, advice and best practices. After the panel discussion, attendees will have an opportunity to network with panelists in an intimate setting. Join us for a special edition of Talk Thursday – Asians in Media: Leadership in a New Media Age where we bring together top Asian American actors, directors, producers and writers to discuss their experiences in mainstream media. NAAAPNY is also partnering with the Asian American International Film Festival (AAIFF) to bring additional focus to the promotion of Asian Americans in media. Please do comesupport our fellow Asian Americans in this very important and interesting Talk Thursday event! There is limited seating at this venue and we expect this event sell out so please get your tickets soon. You would not want to miss this. Wine, soft beverages and light fare will be served. during the Q&A session and much more! Judy Lei, born and raised in Chinatown and Brooklyn, is an actor and writer based in NYC. Currently, she serves as the Festival Director for the Asian American International Film Festival, for which she was involved in many capacities for the past nine years. Formerly, she was the Congressional Caseworker serving bilingual constituents for Nydia Velazquez in the Lower East Side Office. She also has a plethora of experience with various Asian American organizations such as the Asian American Legal Defense and Education Fund, Kollaboration New York, and the East Coast Asian American Student Union. She graduated from Smith College in 2011 with a Bachelor of Arts in Asian American Studies with High Honors. She studied acting at the Barrow Group Theatre with Seth Barrish and Lee Brock and Improv at the Upright Citizens Brigade Theatre in NYC. Her solo show, THE WORLD’S GREATEST – directed by MC Jin, will premiere at The TBG Studio Theatre fromAugust 19-22, 2016 in NYC. Vincent Lin, an award-winning director and producer in New York City. Vincent won Best Director at the 2012 NBC Short Cuts Festival. He is the recipient of the $60,000 Panavision New Filmmaker Grant, a finalist for the 2013 NBC Universal Directing Fellowship and a 2005 NYU Film/TV graduate recognized with both the Founder’s Day and the New Amsterdam Scholarship Awards. As a producer, Vincent has worked on broadcast commercials and digital content for Samuel Adams, Labatt Blue, White Castle, Bank of America, New York Sports Clubs, Chiquita, and from 2011-2013, oversaw the integrated campaign for Midori Liqueur with celebrity talent Kim Kardashian and Candice Accola. Additional clients include Resource/Ammirati, BBDO, Digitas, ESPN, Lowe’s, Powerade, Applebee’s, Vitamin Water,Visa, Ebay, and The Vilcek Foundation. Along with Matthew D’Amato, Vincent founded VALIANT PICTURES in 2010. 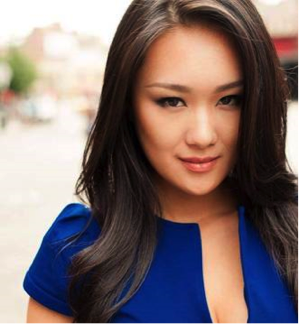 Danni Wang, an actress, model who was born in Shenyang and grew up in New York City. She was crowned the 1st runner up of Miss Chinese pageant in 2011 where she discovered her love for performing. Soon after, she attended the New York Conservatory for Dramatic Arts and Stella Adler Studio of Acting for Acting On Film. She has appeared on TV shows: CBS’s Madame Secretary and NBC’s The Blacklist. 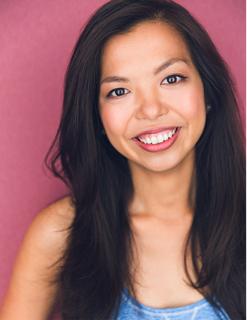 Her film credits include: Wong Fu’s The One (2014), Always (2015), A Different Sun (2016) and Class Rank (2016). She is managed by Clear Talent Group. 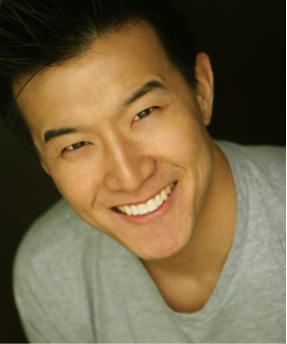 Brian Yang, is an actor and producer, best known for his role as “Charlie Fong” on the CBS primetime drama series, Hawaii Five-0. Born in Columbus, Ohio and raised in the Bay Area, Brian began his acting career after he attended the University of California at Berkeley, where he studied biology and dramatic arts. He works both in front of and behind the camera on projects in the US and throughout Asia. In 2009, he was the host of Shanghai Rush, China’s most extensive reality show to date then and currently he does hosting and production work with several companies that have an interest in professional basketball in the Chinese market (NBA China, Alibaba, Muho TV, ESPN.). 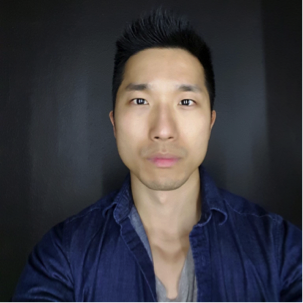 His production company, 408 Films, has produced feature films in both the US and Asia including the Jeremy Lin documentary, LINSANITY directed by Evan Jackson Leong. He is currently producing a feature biopic about the former NBA player Stephon Marbury and his life in Beijing called MY OTHER HOME. TALK TUESDAY: Each month, NAAAP-NY invites different industries, community partners and corporate affinity groups to network with NAAAP-NY members for a specially curated night of conversation. This month, we feature a special Holiday Edition of Talk Tuesday as our members will be mingling with the media industry, as well as community partners, as we celebrate the holiday season of giving and discuss the topic of “GIVING BACK TO THE COMMUNITY”. We are excited to invite the members of the affinity groups of APA@NBCUniversal, Ogilvy’s RedLotus Asian Professional Network, as well as our community partners, APEX for Youth, AAF – Asian American Federation, and AALDEF – Asian American Legal Defense Education Fund. We are getting in the holiday spirit this month, by discussing ways to give back to the APIA community. Our panel speakers this month will include leaders from NBC, Oglivy, as well as representatives from our community partners, so that you can find the best way for YOU to give back! The holidays have us in a giving mood and we hope it’s the same for you! RSVP today for your chance to win fun raffle prizes such as: Jabra ROX and Blackloud Soundot Bluetooth headsets and $50 Amazon gift card! Please bring 2 cans of food to score 2 raffle tickets. Non-alcoholic beverages and light dinner will be served at Talk Tuesday. Please join us for a networking party immediately following, from 8:00 PM, at Del Frisco’s Grille at 50 Rockefeller Plaza (51st St. bet. 5th & 6th Ave.). Cash bar. With over 300 sign-ups in advance of our finance-themed Talk Thursday, Asian professionals from all levels convened at INC Lounge on March 27th. Our corporate partners for the event included Morgan Stanley, Deutsche Bank, and Goldman Sachs. Stanford’s Asian Pacific American Alumni Club acted as our March academic partner. Partway through the evening’s program, Moderator Luis Miguel Ochoa, representing the academic partner, began a panel with Ashwin Krishnan from Morgan Stanley, Tom Cheung from Deutsche Bank, and Suzanne Yao from Goldman Sachs. Mr. Krishnan began the panel comments with an emphasis on keeping an open mind when exploring opportunities in financial institutions. Mr. Cheung remarked that is important to everyone regardless of career level to be self-aware. Ms. Yao furthered the evening’s theme on career development, citing her involvement in internal networks has helped her collaborate with others outside of her immediate department. Judy Lao, President of NAAAP NY closed the panel session, emphasizing the strong bond forged by audience members and panelists through the course of the evening. Thank you to all attendees, our panelists and their respective organizations, and our academic partner for making this a successful and impactful event! To view more photos from this evening, click here. 224 W. 49th St., bet. 7th & 8th Ave.
NAAAP-NY’s signature happy hour, Talk Tuesday, returns this month as Talk Thursday! This month, NAAAP-NY’s members will be mingling with the financial services industry, as we are excited to invite the members of the affinity groups of Morgan Stanley Asian Employee Networking Group, Deutsche Bank Multicultural Partnership Network and Goldman Sachs Asian Professional Network, for our March Talk Thursday. Our panel speakers this month will include a Managing Director from Morgan Stanley’s Investment Management Division, a Managing Director from Deutsche Bank’s Corporate & Investment Bank, and a Managing Director from Goldman Sach’s Legal and Internal Audit Division. Tickets can be purchased here, space is limited! Become a NAAAP-NY member today! Click here for further details. On the second Tuesday of every month, NAAAP-NY invites different industries, community partners and corporate affinity groups to network with NAAAP-NY members for a night of cocktails and conversation. NAAAP-NY’s members mingled with the consulting/accounting industries, with over 100 attendees from Deloitte and Marks Paneth & Shron for our July “Talk Tuesday” at Public House near Grand Central Terminal. We had a private bar on the mezzanine level, and with horderves, and Deloitte Financial Services Director John Kim as a speaker! In the United States, Deloitte LLP and its subsidiaries have 57,000 professionals with a single focus: serving our clients and helping them solve their toughest problems. We work in four key business areas — audit, financial advisory, tax and consulting — but our real strength comes from combining the talents of those groups to address clients’ needs. Fortune andBusinessWeek consistently rank our organization among the best places to work, which is good news for our talent and our clients alike. Marks Paneth & Shron LLP (MP&S) is a leading, regional professional services firm with more than 500 people, of whom approximately 65 are partners and principals. We provide individuals as well as public and private businesses with a wide range of auditing, accounting, tax, consulting, bankruptcy and restructuring services as well as litigation and corporate financial advisory services. Through our China Desk, MP&S can assist both Chinese businesses and individuals looking to work, invest, raise capital or do business in the United States. Visit us on the web at www.markspaneth.com. For more information, please call 212-503-8846 or email contacts@markspaneth.com. TALK TUESDAY: On the second Tuesday of every month, NAAAP-NY invites different industries, community partners and corporate affinity groups to network with NAAAP-NY members for a night of cocktails and conversation. NAAAP-NY’s members will be mingled with the media industry, as the APIA employees of The Nielsen Company and VIACOM were invited for our June “Talk Tuesday”.